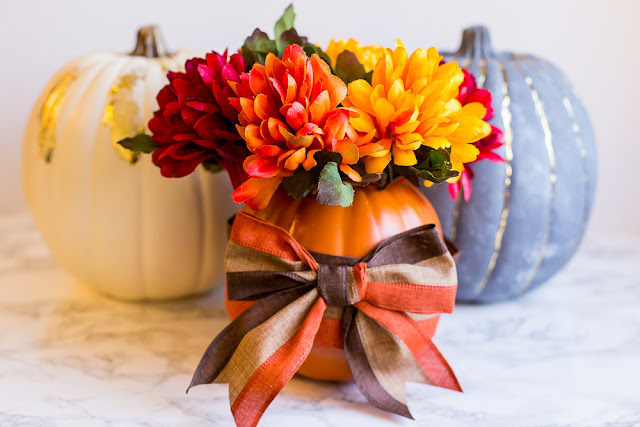 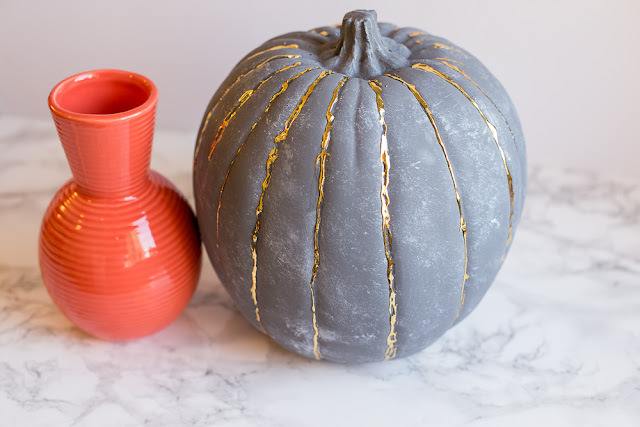 I was inspired by the Michael's Makers to foil and glam up a few foam pumpkins for fall and Halloween decor. 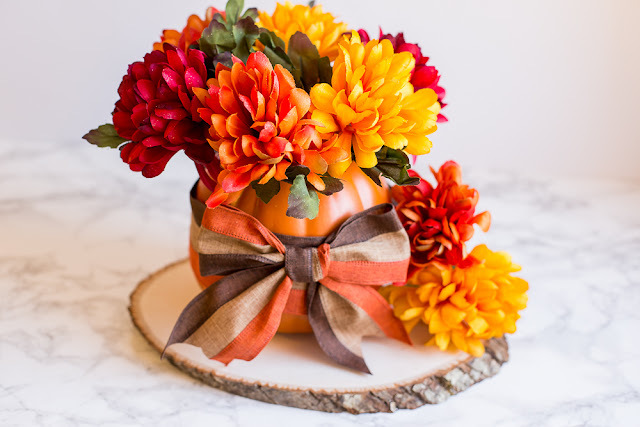 For the first pumpkin I used Therm O Web Glitter Dust to spray a fine sheen of gold glitter on the pumpkin and florals. 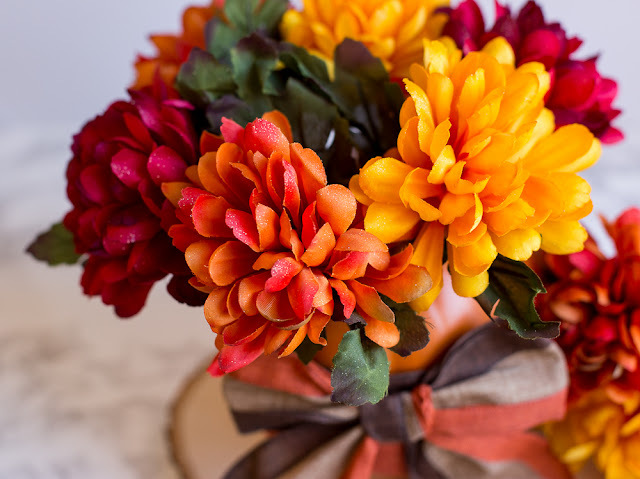 You can see the pretty hint of shine here. I adhered the band of ribbon to the pumpkin with Therm O Web Zots. 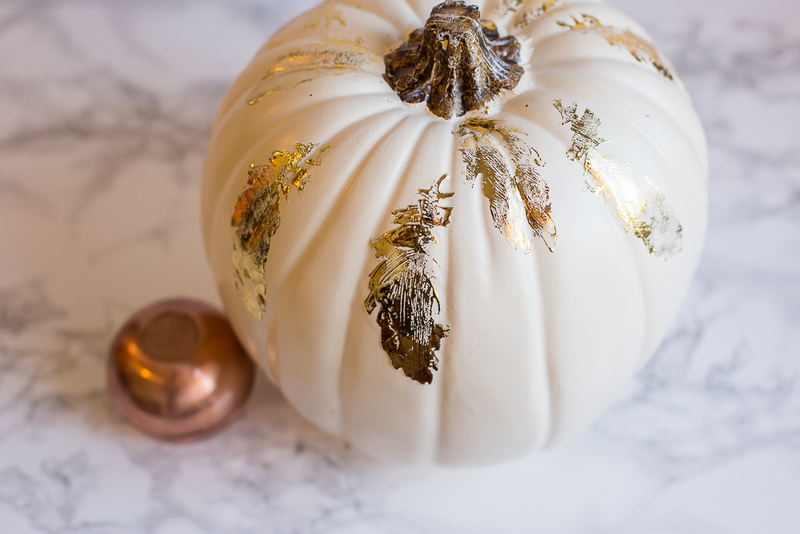 For the second pumpkin I created gold lines on the seams using Therm O Web Deco Foil Liquid Adhesive and Deco Foil Gold foil. For the final pumpkin, I created a template by die cutting a feather shape out of vinyl and then added Therm O Web liquid adhesive to the shape with a foam brush and once dry, added Gold Foil.